I don’t know about you, but there’s rarely a week that goes by that I don’t learn something new that I wish I had learned in high school. I won’t go into the state of our public education system, but I’m going to assume you feel the same way. Instead of bemoaning the state of affairs, though, I’ve decided to do something about it. I have a Masters degree, a professional designation, and over a decade working in the business / insurance industry, and I’m going to use all of it to drop some knowledge on you. · When you apply for college, especially for Ivy League schools, you’ll need to write a paper and sell yourself, telling them why they need you at their school. If you pledge a Greek house (fraternity or sorority), they’ll put you through a next-level kind of interview process. · Of course, when you apply for a job, you’ll need to interview. However, after you get the job, you’ll eventually want to get more out of it, like a better position or more pay. To get that, you’ll need to take on more responsibility. You’ll need to ask for things, such as permission to attend an out-of-state conference or to take continuing education courses, and you’ll have to explain why they should spend more money on you. · Your actual job may involve interviewing people – mine does! I regularly ask directors and VPs about their projects and initiatives and look for risks that could keep them from achieving their goals. · As an adult, you end up having to interview people you want to hire, like contractors, lawn care workers, even hair stylists and doctors. You’ll also continue to be interviewed by other people. A couple weeks ago, I sat down with six different agents, editors, and authors, pitching my book ideas in 15-minute time blocks. Now, those are straight-up interviews! To me, an interview is an opportunity to advance yourself, whether personally or professionally. Since it’s that important, and we can’t avoid it anyway, we should embrace it and conquer it! In the next couple blogs, we’ll focus on job interviews and look at how you can put your best foot forward to get that job! 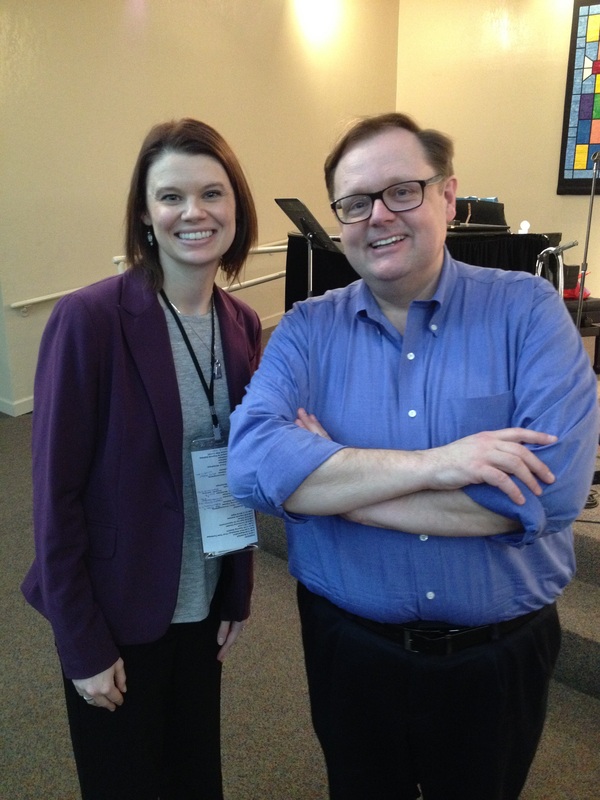 After being interviewed all day by editors and agents, I got to meet journalist and best-selling author Todd Starnes. Glad I dressed nice!